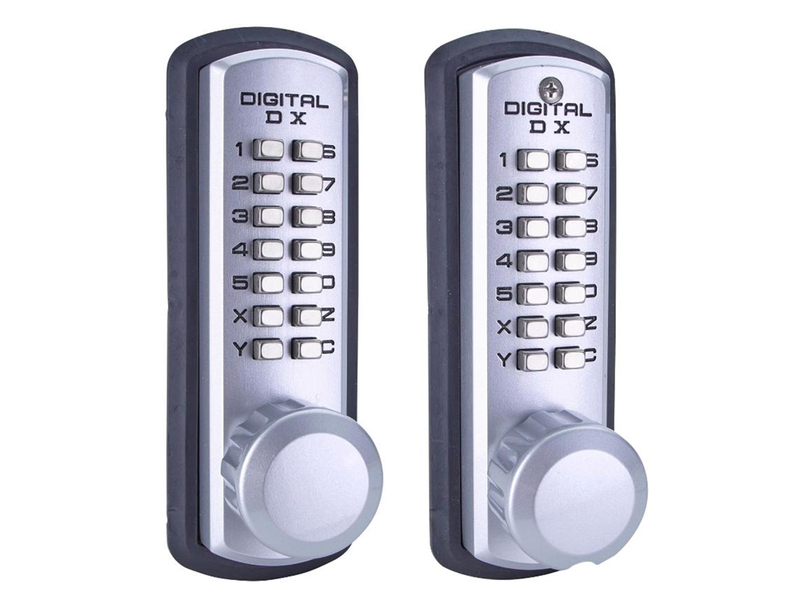 The Lockey GB210DC Gate Kit includes a Lockey M210DC Satin Chrome double-sided deadbolt lock, a steel or aluminum gatebox, and a passage knob or lever handle. 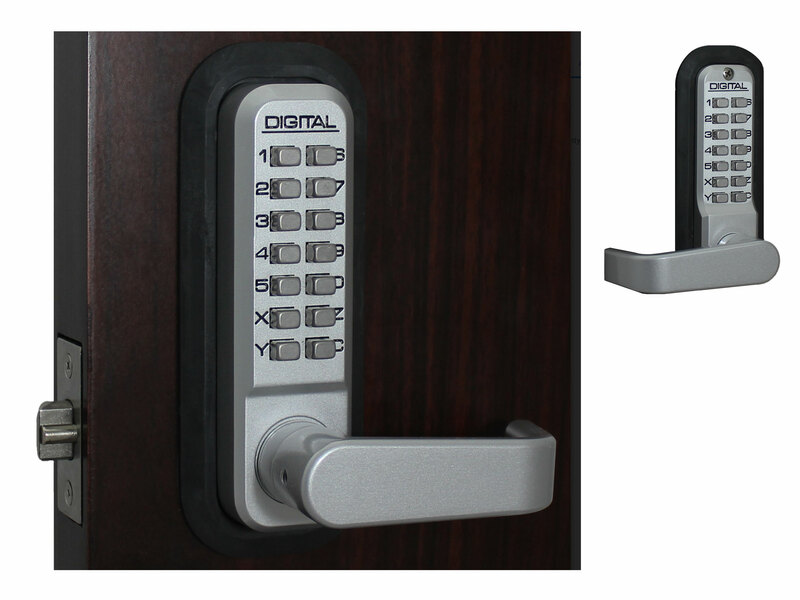 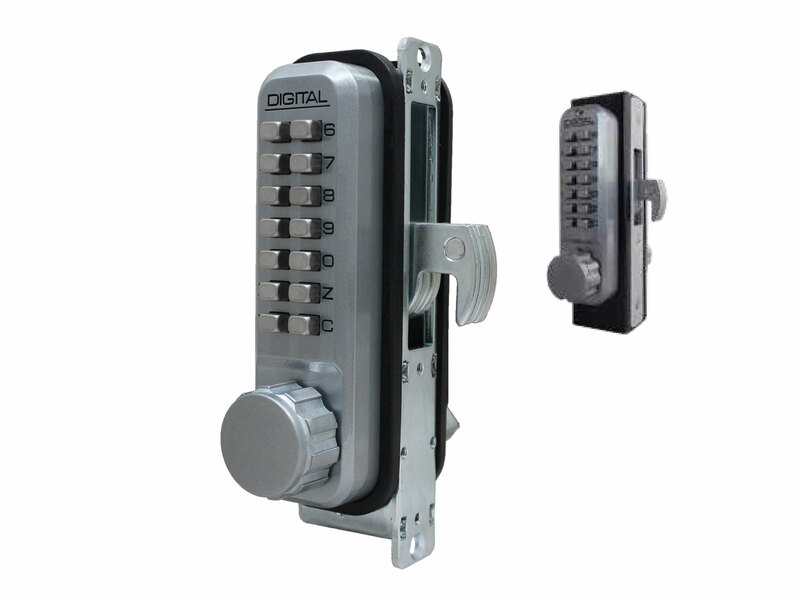 This combines a keyless gate lock with a knob or lever handle to provide easy access from both sides without compromising gate security. 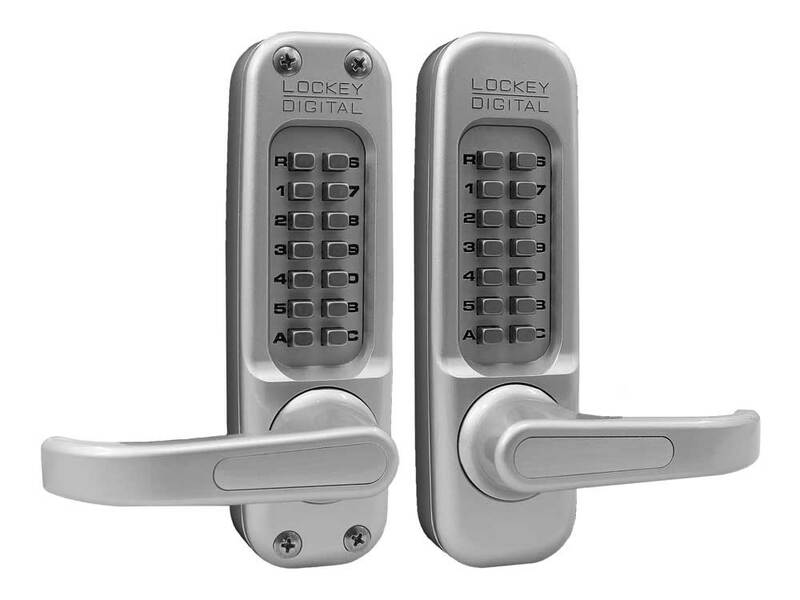 (1) Locks with lever on outside/lever on inside have a passage mode to leave door latched, but not locked. 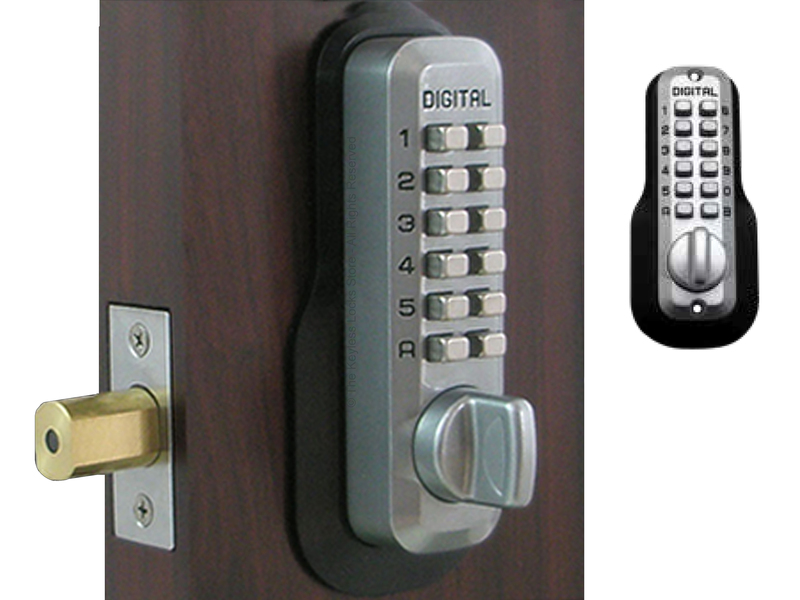 (2) Code is needed to enter (but not exit) passage mode. 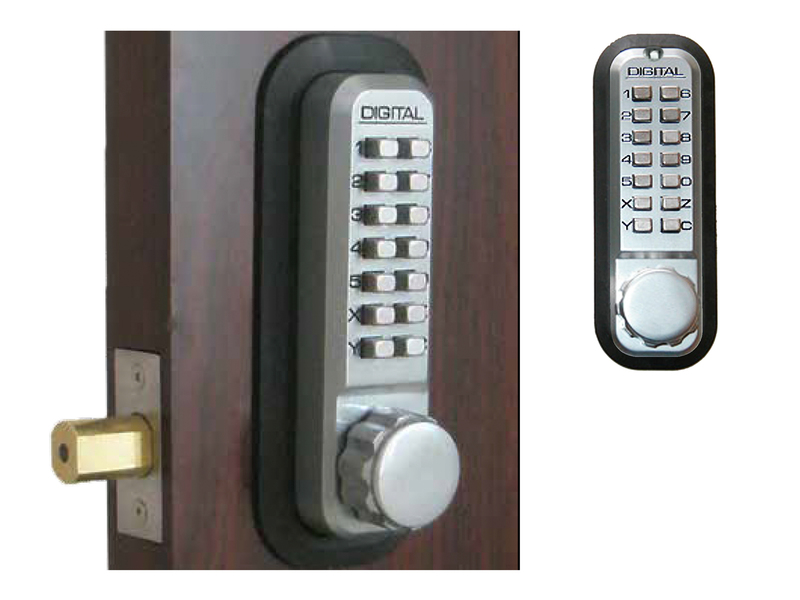 HANDLE: Locks with a fully round knob-handle which is easy to grab to pull/push a door open; Locks with a thumbturn on the inside that is grasped between thumb and forefinger and rotated; Locks with reversible lever-handles which can be used on either left or right side of a door and can be ADA compliant. 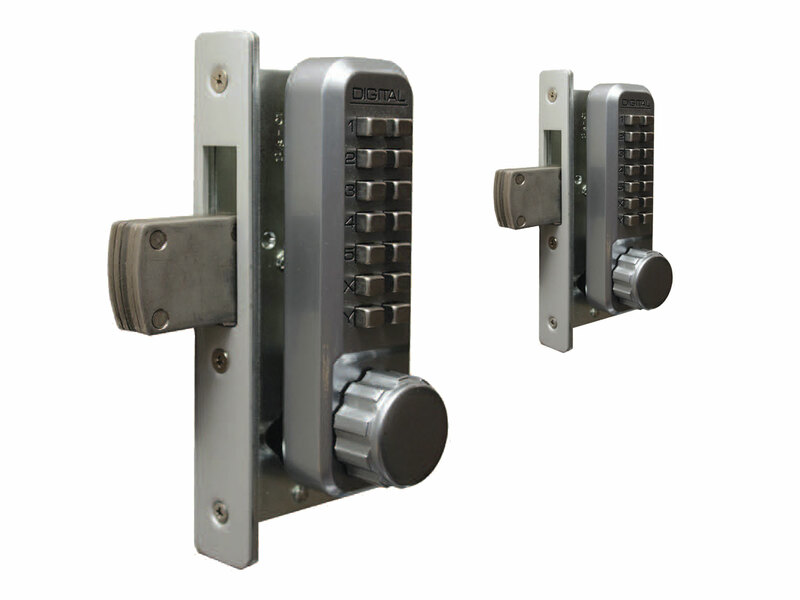 KITS: (for quick & money-saving selections of popular locking hardware for gates). 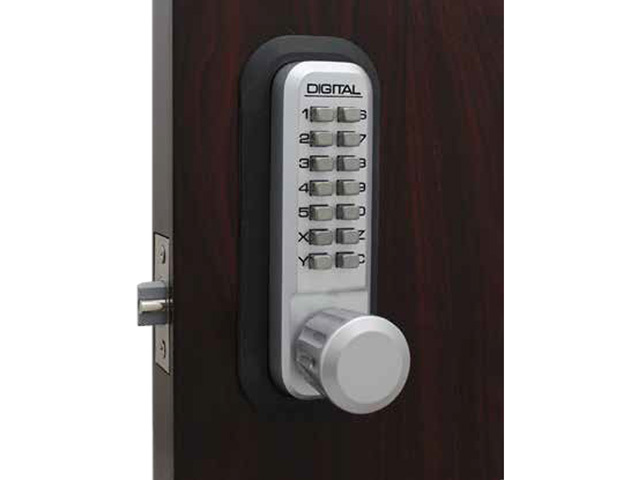 Allows passage through a gate when you want it and deadbolt security when you need it. 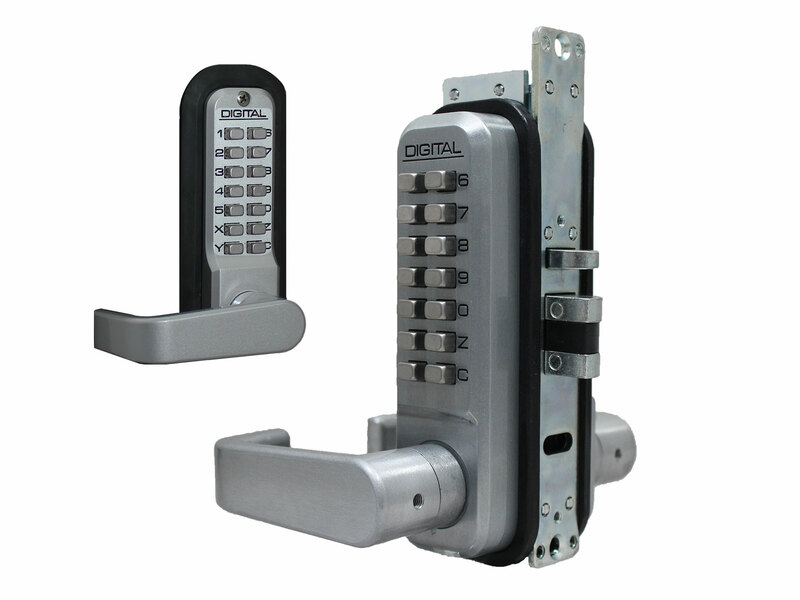 Keypad gate locks can be installed on a pool gate, residential pedestrian gate, or on a gate at a commercial or government institution. 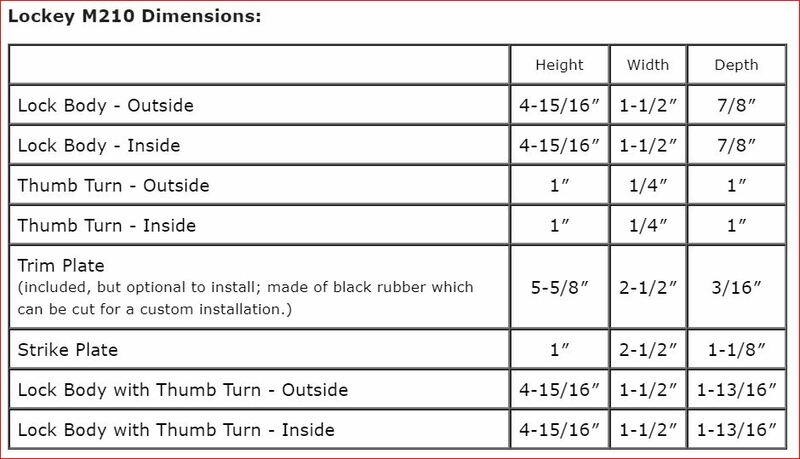 Comes with a standard Lifetime Mechanical Warranty.